CAPTAIN BILL SLATTUM OFFERS QUALITY MARINE SURVEYS. WASHINGTON, N.C. (WNCT) – A relaxing day on the boat and water could turn fatal in a matter of seconds. For many, electric shock drowning is a term they may not have heard of, but one they should pay attention to. ESD may be to blamed for dozens of what appears to be bizarre drownings across the country in recent years. It is one reason why many docks and marinas ban swimming. “When several boats get together, they can pass current back and forth and create a really unsafe field, and a really unsafe area to swim in,” said Bobby Schultz, marina manger at the Beaufort Yacht Basin. Whether it is a new or old boat, all can leak electrical currents into the water. The risk is increased when you plug your boat into the dock for charging. But many may not know the risks until it is too late because the electric currents are invisible. “You could jump in water that looks perfectly safe and next thing you know you’re shocked,” Schultz said. After three people were electrocuted in a Missouri lake four years ago, Dave Hotz created the Dock Lifeguard, which alerts people if there is electricity detected in the water. Hotz said it isn’t only boats leaking electrical current that can cause dangers. Exposed wires and faulty equipment can also lead to unsafe swimming conditions. The safest docks will be the ones that are grounded. Hotz recommends people not only take precautions, but also buy something as easy as a throw ring to rescue someone in the water. “Think how fast can I get a throw ring to them, because you can’t jump into the water after them,” he said. Tom Watson, a dock attendant with Washington Waterfront Docks, said they check their electrical equipment on docks annually. He said despite that, the risk of electrocution is still there from the boats. “It could be as severe as dropping a cord straight from the receptacle open ended, right into a bath tub,” Watson said. For some out on a boat for Memorial Day weekend, the idea of electrocution came as a shock. The best advice is to stay out of the water if there are multiple boats in the area, or if you are around a dock. William Slattum is an Accredited Marine Surveyor (AMS) recognized by the Society of Accredited Marine Surveyors (SAMS). He has been in the Florida marine service industry for over 25 years and holds a United States Coast Guard Masters License. Previous certificates include Yamaha Outboard Repair, U.S. Army Electric Generator Repair. He holds and honors degree in Underwater Technology from the Florida Institute of Technology. Slattum Marine Surveyor will tailor to your survey needs, whether it is a sail or power vessel, hovercraft or submersible. Purchase, Condition and Valuation Survey, Damage or Finance Surveys are available. Oversee repairs being made to your vessel if you are out of town. This survey provides a thorough inspection of the vessel, to include the hull structure, finish, hardware, AC & DC electrical, water, waste, electronics, propulsion systems and safety equipment. Special attention is paid to areas of damage or potential failure or safety hazards. This inspection attempts to verify previous damage or deficiencies in order to determine the condition of the vessel. Current valuation is determined. A deficiency list is provided at the time of the inspection to allow for purchase or repair considerations. This survey includes a general overall condition inspection of the vessel listing options and equipment and is specifically designed to determine and document the actual cash value and or replacement cost for insurance, finance companies, estate or legal settlements. This survey is for the owner and insurance carrier providing information about the risks and hazards associated with the vessel, equipment and mooring location. Deficiencies are reported and requirements are noted in report form. Fair market and replacement values are e-mailed along with overall photos. E-mail direct to your insurance company at no additional charge. The survey includes reconstructing and determining the cause of loss and the cost to return the vessel to its pre-casualty condition. Research is performed to establish the chain of events which lead to the loss. Documentation by photographs, police report and statements are collected and provided in the report. A marine repair estimate is prepared or an invoice review is performed for the loss. 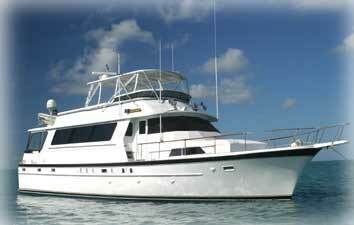 Captain Bill provides a safe professional delivery of your vessel throughout Florida or the Bahamas. Captain, crew and associates availaible.